Does The Bushnell Trophy Cam Essential E3 Have All The Features You Need? 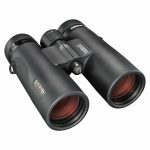 Whether you are looking to find out what kinds of critters pass through your backyard at night or you interested in getting photographs of animals in their natural environment without possibly spooking them Bushnell’s entry level trail camera could be the right balance between features and price. 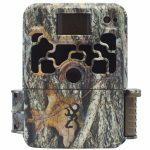 The Trophy Cam Essential E3 Trail Camera might not be the best choice for everyone but especially for people interested in learning more about what animals live around their homes in the suburbs it could be a great camera without having to spend a lot of money. The aim of this review is to explore the different features, and establish if the E3 16MP Bushnell is the right choice for you. We are going to cover some of the main features of the Trophy Cam, such as the trigger speed, picture and video quality, some of the interesting settings available in this model, the durability and battery life. Then we are going to see what other customers say about the camera and talk about what you get with the camera and what you will need to get started. If you have a specific question in mind, check out the table of contents where it is probably covered. Otherwise keep scrolling to learn all about Bushnell’s Essential E3 Trail Camera. 1 Does The Bushnell Trophy Cam Essential E3 Have All The Features You Need? Founded in 1948 by David Bushnell, the company is one of the oldest and most respected company’s in the field of ‘sports optics’. They have a reputation for high quality products that combine cutting-edge design with high performance functionality. Their line of Trail Camera’s have a variety of features. 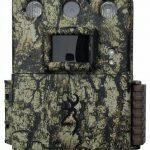 Trail Camera’s are usually thought as being mostly used by hunters, but more and more wildlife viewers are finding the pleasure in learning more about the environment around them by using these unobtrusive cameras. The camera can take some very impressive photographs and videos. For photographs it has a 16MP full color resolution, and the maximum pixel size is 4624×3468. There are three different picture sizes that you can choose from in the settings. For High Definition the size is 1920×1440, at 4K 3840×2880. What this means is that you have the option of taking high resolution photographs, but you also have the choice of taking pictures that will be slightly lower in quality, but which will give you more time between filling up an SD card. Depending on what you are looking to use the photographs for the lower quality settings could be more than enough. 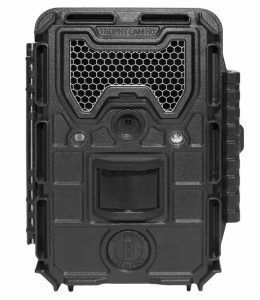 The Bushnell E3 Trail Camera records in 720p HD video at 30 frames per second. The default resolution is 1280X720, but you have the option to change that to 640×360. 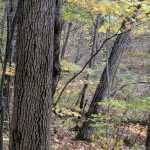 Since video files tend to be large we find that most people are happy with the smaller resolution, especially if you are using your trail camera for your own curiosity and not looking to share the videos. The video is recorded by default with sound from microphones that are found on the top and bottom of the cameras case. Recording without sound can reduce file sizes if this is a concern of yours. By default the camera records 10 second videos but in the settings you can change this setting to be anywhere between 60 seconds and 5 seconds for daytime video shooting. The maximum length of a video recorded at night is only 15 seconds though. One common question people have is about the lens and if it is a wide angle lens. The answer is no, but it does have a wider angle than the average 35mm camera. The lens, as specified in the manual, is f-2.8 with a view angle of 38 degrees. Your normal point and click or 35mm camera will usually have a 50mm with a view angle of 46 degrees. A 100mm wide angle lens is 24 degrees, so you can think of the angle of the lens as being between a ‘regular’ and wide angle lens, but leaning slightly towards a normal lens. The trigger speed is just what it sounds like. It’s the amount of time it takes from when the motion sensor is activated for the photo to be taken or the video to begin recording. A quicker trigger speed is ideal, since the wildlife you are looking to take pictures of might not realize they are being filmed and they should wait around to pose for your trail camera. While this camera does have a relatively fast trigger speed, it is probably not ideal if you are looking to get photos or videos of birds as they are flying, between the distance they will probably be from the camera and their speed you’re going to have to be very lucky to get a good shot. Bushnell gives this camera a .3 second trigger or response time in camera mode, and 2 seconds for video. From our research we have seen that people have reported times that go from a little faster to a little slower than the advertised speed. Interestingly, there are some reports that the difference in trigger speed runs in a pattern with every 10th trigger event actually taking closer to 2 seconds. This slight lack of reliability could be an issue for some people, or it could be something that you could overlook. The Trophy Cam E3 gives you choices for what the interval between each trigger event can be. By default the camera will wait 10 seconds between one event and the next. This setting can be changed and you have the choice of choosing by minute increments between an hour and 1 minute, and under a minute you can choose by the number of seconds down to just one second. You can also choose number of still photos the camera will take each time the motion sensor is triggered and the length of the videos. The video length by default is 10 seconds, with a range of 5s to 60s. Set to camera (still photography) the default is to take one photo every trigger, but you can change opt to have the camera take up to three photos for each trigger event. The recovery time is about a second between photos, so obviously you need to take the number of photos you are looking to take into consideration if you are using a short interval for the motion sensor to be triggered. One other note about this, is for taking photos at night. Using a short interval between trigger events, like a second or two can cause the auto-exposure feature to not work properly. This can result in more whited out or overly dark photos. The Bushnell Trophy Cam Essential 3E uses Passive Infra-Red (PIR) for motion detection. With PIR motion is detected based on a combination of changes in heat and movement in the cameras range. There are four settings to help you fine tune how motion will be detected. The default is an automatic setting which will allow the camera to make adjustments based on the surrounding temperature. For more control, there is a normal setting, which is supposed to be for moderate climate conditions. Setting the PIR to low works best during the cold weather. With a lower sensitivity the camera will not trigger for as a wide range of changes to the surrounding temperature. Lastly, there is a high setting, which makes PIR more sensitive and is best for warm or hot conditions, where an animals body heat could be close recording areas temperature. Bushnell states the range for the motion sensor is 100 feet, but it is questionable if the camera’s PIR sensor activates at much more than 55 feet. Different customers have reported having success at a maximum anywhere from 50 to 80 feet. Once you get the camera you can quickly establish that the true range for motion detection is by walking towards the camera from more than a hundred feet away. When you cross into the cameras range you will see the red LED light flash. But what about seeing what is going on outside of the detection range? Glad you asked! This scouting camera has a feature called Field Scan 2x. We aren’t really sure what the 2x stands for, maybe that you are able to get photos and videos of what is happening 50 to 150 yards away from where you mount the camera. The only thing is that this feature isn’t triggered by an animals movement. Rather you program in how often you would like the camera to shoot a photo or video. You have the choice of selecting up to two blocks of time when you would like the camera to record, and then choose in each block how often you would like the recordings to be made. In theory you could set up the camera with two 12 hour blocks and then have a trigger interval of a minute and get a picture or video for every minute of the day. Practically it is probably better to use around dawn and dusk when more animals are active but might not be within the range of your camera. However you choose to set this up, it’s a nice feature for getting a bigger picture of a field or yard that you are watching. Some people might be wondering if they will have to choose between using the interval triggering and the PIR motion detection? The answer is NO! The two work at the same time. Say you setup your trail camera to take a picture every 3 minutes between 5 and 8 am. Then every three minutes a picture will be taken, but if in between one of those three minute intervals a critter wanders into sensors range this cause the camera to trigger. An extra note about the interval function, the flash range of this camera is only good to about 80 or 100 feet, so if you were looking to utilize the full use of the field scan it won’t be possible to see what is happening further away from the camera than that. The Bushnell Trophy Cam Essential E3 has settings for day and night usage. By default the camera will work 24 hours per day, but the user has the choice to select between day or night only use. This is good if you are interested in photographing animals that visit your yard at night, but don’t want to shift through pictures of you and your family moving about your yard during the day. The camera has hyper night vision, which has improved slightly on earlier models for the quality of shots taken in the dark. For night use the camera uses an infrared flash. It is generally noticeable but non-obtrusive . Most animals taken no notice of the faint red light of the flash, although there is an amusing story on line about a raccoon becoming obessed with the red light and attempted to steal the camera. The camera has an auto-exposure setting that continues to improve on earlier models to improve the picture quality of night photography and prevent less white out pictures and videos. For best results animals should be in between 10 and 100 feet of the camera. Being closer than 10 feet does have a tendency to produce high contrasted, whited out still photos and videos. Humans will probably notice the flash, especially if they are looking out for it. Because of this the camera isn’t recommended for security purposes. If you’re intention in buying this camera is to monitor if anyone has been on your property at night the red light will be a dead giveaway of the camera, and if you don’t have a security box it would not be difficult for someone to steal the camera. One other note about the flash, the camera comes with an Anti-Reflective Device, which is like a piece of mesh over the flash. The ARD functions to reduce the visibility of the flash by not allowing as much light to reflect off of the black glass panel. You can remove this to make the flash brighter, and it’s an option to play with if you aren’t quite getting the quality of pictures at night that you are hoping for. The Essential E3 Trophy Cam is very durable. Bushnell have a great reputation for creating durable hunting and scout cameras, and this one is no exception. The case is hard plastic waterproof case with rubber seals. It’s the same case that the higher end Aggressor models come with, but without the external battery jack. The camera comes with adjustable webbing straps with an easy to use cinch clasp. Mounting and securing the camera is easy. If you are concerned about someone taking the camera, for example if you are not using on your property (or even if you are), it would be wise to invest in a security box which would offer more protection and give you the option of locking up your camera to make it more difficult for someone to steal the camera or the SD card. And in case you are wondering if you live in an area that is too hot or too cold for the camera to work, the operating temperature range is -20 to 60 degrees Celsius (-4 to 140 degrees Fahrenheit). People living up North will want to keep this in mind if they are looking to use the camera in the dead of winter. You’ll see that Bushnell says that the camera has “true one-year Battery life for all Season scouting”. This is a very confusing statement. We no idea under what conditions the camera can be regularly used with one set of batteries for a whole year. The camera takes 8AA Lithium batteries. Bushnell recommends not using rechargeable batteries. Taking 15 to 30 pictures a day a set of batteries will usually last between 3 and 4 months. The actual life of the batteries depends on so many things though that it’s tough to give a good estimate for how long they will last for. Getting a year out of them, and using the camera, especially for video is not likely. Different function on the camera will drain the batteries in different ways. Also the temperature will have an effect on battery life. Colder weather will cause batteries to have a shorter life, as will the heat from direct sunlight. You should keep in mind that when your batteries are running out you may get wonky videos. The camera will start to decrease the length of videos to a second when it is running low on power, or when the SD card is near capacity. What this means, is that it would be smart to first change the batteries or use a memory card you know has room on it before panicking that your camera is broken. Customers generally like this camera. It has very high above average ratings in on-line stores. Some reviews contain stunning examples of pictures taken with the camera. Customers praise the low price and great value, along with it being easy to use and producing hight quality pictures and videos. There are some complaints, and while they don’t seem all that common in comparison to the praise, they are worth noting. The major problem is out of the box a small number of people have reported having mechanical problems and Bushnell’s customer service not being the easiest to get help from. The limited warranty covers repairs but postage needs to be covered both ways. The other common complaint is that over time the video stops recording or only records in one second intervals. We think this might be people not realizing that the batteries might be dying or the SD card being full. When you buy the Trophy Cam Essential E3 you get the camera and the strap needed to mount it. You also get the instruction booklet, which will guide you through all the settings and how to change them. We thought the set up was fairly straight forward, its basically just scrolling through options on a gray-scale LED screen. It might be a little tedious for people who are growing accustomed to touch screens, and scrolling through options can be a little confusing for some people, but the instructions are very helpful. At a minimum you’ll need 8AA Lithium Batteries and an SD card. Bushnell recommends using Scandisk SD cards, and up to 32GB. If you are setting this up on your property and close to your home, these could still make your life a little easier. Especially when setting up the camera you are going to want to check what the camera is capturing. There is no viewfinder so you aren’t going to know what is being photographed, and know what adjustments you need to make for height or angle until you see some results. Basically, you’ll want some way to check the pictures out in the field, either a laptop or have a way to read an SD card on your phone or a tablet. There is no cellular functionality on this model, so you need to physically take the SD card to get access to the pictures or else use the USB jack on the camera to connect the camera to a laptop or phone. So you might want to purchase a USB card reader that works with your phone, something we’ve never done, or use a USB cable. The USB input is the standard Android type size, so you might already have some extra cables laying around you can use. Personally, we like to have to SD cards and just swap them out. The number of pictures and videos an SD card holds is going to depend on the options you choose. Generally the card should hold over 2000 10 second videos and over 4000 pictures using a 32GB card. 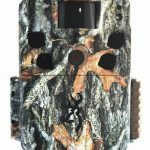 For the vast majority of people who buy this trail camera it will give them the chance to capture wildlife in stunning photographs and videos. Sadly, though some of the technical specs and overall quality isn’t as good as their E2 model this isn’t going to be an issue for most people. The quality difference isn’t all that noticeable. You’ll notice it mainly with night photography, where you may experience excessive white-outs. Our biggest problem with this camera is the slight possibility that out of the box has a mechanical problem. There are enough negative reviews mentioning problems and as we talked about above, those problems are also known issues that Bushnell makes note of in their instruction manual. In light of this possibility and the overall feeling that their customer service isn’t the best at adequately addressing these problems we hesitate to give this trail camera our full endorsement. For someone looking to get photographs of animals in their backyard and if you are willing to take the small risk, this is a good camera and it can usually be found for about half of the cost that the camera sells for on the Bushnell website. If you are going to be using this camera further from home, or in you are lucky enough to live on a large piece of land and it could take a bit to get to the camera, we would suggest going for one of the more feature rich higher models that will give you better results along with a lot more convenience. Click to get up to date pricing and to purchase your own Bushnell E3 Trophy Cam.